CANNON, John Frederick (Jack) It is with great sadness that we announce the passing of Jack on February 10, 2019, just one day after his 95th birthday. 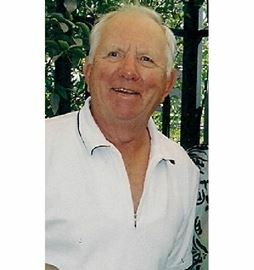 He will be greatly missed by his beloved wife of 47 years, Fran, and children Jacqueline, Michael (Karen), Alison (Peter) and Debi (Mike) and many grandchildren and great-grandchildren. Jack was predeceased by his daughter Patricia. Thanks to St. Peter's Hospital for all their help. At Jack's request, cremation has taken place and there will be no funeral. In lieu of flowers, donations to the Canadian Cancer Society would be appreciated by the family.